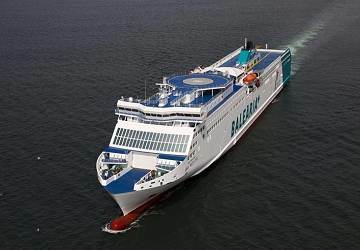 The Algeciras Tangier Med ferry route connects Spain with Morocco and is currently operated by 5 ferry companies. 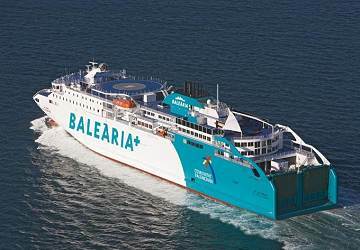 Balearia operate their crossing up to 4 times per day, Trasmediterranea 6 times per day, FRS 8 times per day, Inter Shipping 8 times per day & the AML service is available up to 4 times per day. 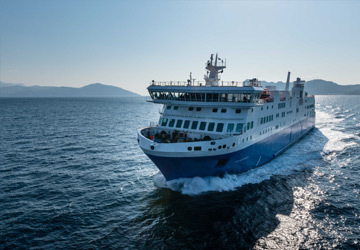 There are a combined 30 sailings available per day on the Algeciras Tangier Med crossing between Spain and Morocco and with 5 ferry companies on offer it is advisable to compare all to make sure you get the best fare at the time that you want to travel. Prices shown represent the average one way price paid by our customers. 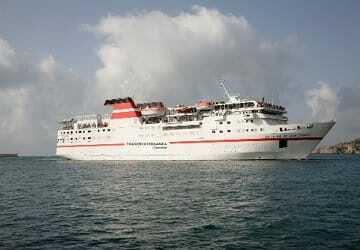 The most common booking on the Algeciras Tangier Med route is a car and 2 passengers. The way there was more or less okay, the ferry was nice and calm but left over 1h 30 minutes late from the port in Algeciras. Apart from that, a parking is announced on the website without location or any further details. Also inside the port it is rather hard to navigate by car. The food on the ferry is good, the seating places are comfy and people in general are nice and helpful. 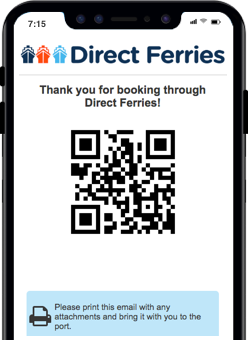 It was our first trip and we didn't know anything about how this works or immigration forms. The signs in the terminal are non existent, there are no warnings or what so ever on the ferry stating that you require a stamp in your passport and no hand outs or anything stated on the website. We ended up leaving the ferry almost right before it left back to Spain waiting to get our stamp. 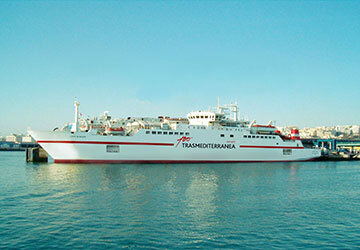 The website states that Tanger Med is shortly outside the city, it is a 40 min Bus trip! The travel back to Spain was a terror, we had to wait 2 hours in the waiting queue for secutiry control, another 1h 30min outside the terminal until a Bus took us to the ferry. After another 1h 30 min waiting on the ferry we finally left. Instead of 1:30 am, we arrived in Algeciras at 6:30!!!!! 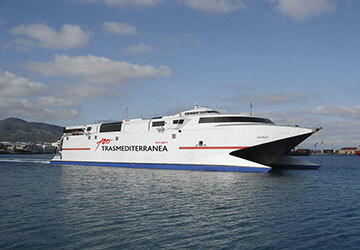 Do take the ferry from Tarifa, DO NOT TAKE A FERRY FROM ALGECIRAS!!!! Located on the Bay of Gibralta in Spain, the port city of Algeciras is located in the south of Spain and is mainly a transport hub and industrial city. The port plays an important role in the city's economy as it is the main embarkation point between Spain and Tangier as well as to other ports in Morocco and to the Canary Islands. The city is a large fishing industry and also exports many of its locally produced products, including cereals, tobacco and livestock. The city is quite popular with tourists although it can't be described as a particularly beautiful city although it does have a gritty charm and has managed to retain a real port atmosphere, perhaps unlike many other Spanish resorts. The city's port is one of the largest in Europe and also in the world in three categories: transhipment, cargo and container, and is located around 20 km to the north east of Tarifa on the Rio de la Miel, the southernmost river on the Iberian Peninsular and on continental Europe. Visitors can also, from time to time, see whales and dolphins swim close to the port.